strength of your health club? Why do I need health club insurance? Health clubs work hard to keep their members happy and healthy. Health club insurance works hard to keep businesses and facilities happier and healthier! In the day-to-day of working with clients, there is always the possibility of serious accidents with expensive medical bills. Why take the risk of getting stuck with large and complex injury claims? American Specialty Express makes purchasing insurance quick, painless, and simple so owners and managers have one focus: ensuring the long-term health and success of their business. The following information is offered as a snapshot of the coverages provided through the American Specialty Express health clubs insurance program. For a complete description of coverages and exclusions, the policies should be read and reviewed in detail. The precise coverage afforded is subject to the terms and conditions of the policies as issued. This tailor-made insurance program provides health club facilities with the ability to specifically select coverage to fit their needs. Full-service health clubs, 24 hours access gyms, and other primarily customer-directed facilities are all eligible for coverage. Independent instructors can be added as insureds, and liability protection extends coverage to injuries of participants. Additional coverage options are available for higher limits of insurance, hired and non-owned automobile, abuse & molestation, professional liability, and inland marine to protect the business’ contents and equipment. 1. It's a calm morning at the local health club when a sudden scream pierces through the air. A free weight was improperly returned to the rack and consequently fell to crush the foot of a client. The immediate swelling and bruising show signs of a serious break, and the client’s pain seems to increase by the minute. The client hires an attorney who demands reimbursement for medical bills and lost wages totaling $55,000. The health club gladly forwards the claim to the team of experts at American Specialty to handle. 2. Every bike is taken at the weekly spin class as the warm up ends and the music starts to build. Pedals are pumping, wheels are whirling, and the climax of the workout arrives as - CLUNK. A bike seat malfunctions and sends a member down to the ground. The member, a well-known local surgeon, hits his head as he falls and is unconscious by the time he hits the ground. As a result, he is immediately transported to the hospital where he receives extensive brain scans. A few months after the incident, the health club receives a letter from the member’s attorney. The letter declares the fall an act of negligence on the part of the health club and demands reimbursed medical bills and lost wages totaling $350,000. The manager forwards the claim to the skilled adjusters at American Specialty and attempts to console the distressed spin class instructor. Have some questions that need additional clarification? Please do not hesitate to contact us! Call us, chat with us online, or send us an email. Technology is great, but our health club insurance program is provided by real people with real advice and a real desire to help. Contact us today! American Specialty Express delivers the ability to instantly quote and buy affordable insurance coverage from a team of industry experts. Additionally, Express offers the luxury of returning to your account anytime you want. Coverage can be in effect the day after purchase and provides all the needed documents online. Once coverage is bound, eligible additional insureds can be added for no additional cost! The necessary steps to add an additional insured, review coverage parameters, or report a claim can be completed in just minutes. Need a copy of the policy? Get online anytime to print a copy of the insurance policy or access a certificate of insurance. 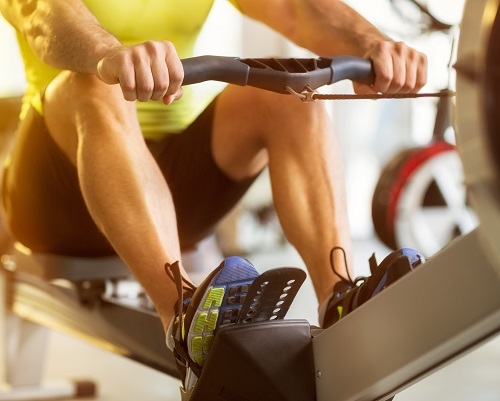 No one plans for problems on a typical day at the health club, but if disaster strikes we provide an easy, hassle-free process for reporting and managing claims. So what's next? Time to purchase your Health Club Insurance!